Ginger and Clementine Moisturising Bubble Bath. 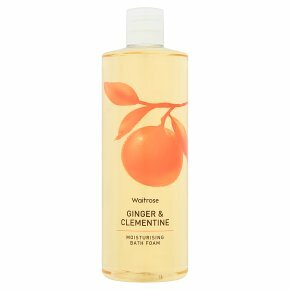 Infused with ginger and clementine fragrances to leave you feeling clean and revitalised. Aqua (water), Sodium Laureth Sulfate, Sodium Chloride, Cocamide DEA, Cocamidopropyl Betaine, Glycerin, Citric Acid, Sodium Benzoate, Parfum (Fragrance), Sucrose Cocoate, Potassium Sorbate, Disodium EDTA, Linalool, Limonene, Benzophenone-3, Geraniol, Citral, Citronellol, Sodium Hydroxide, Citrus Nobilis Fruit Extract, Zingiber Officinale (Ginger) Root Extract, CI 15985, CI 19140.